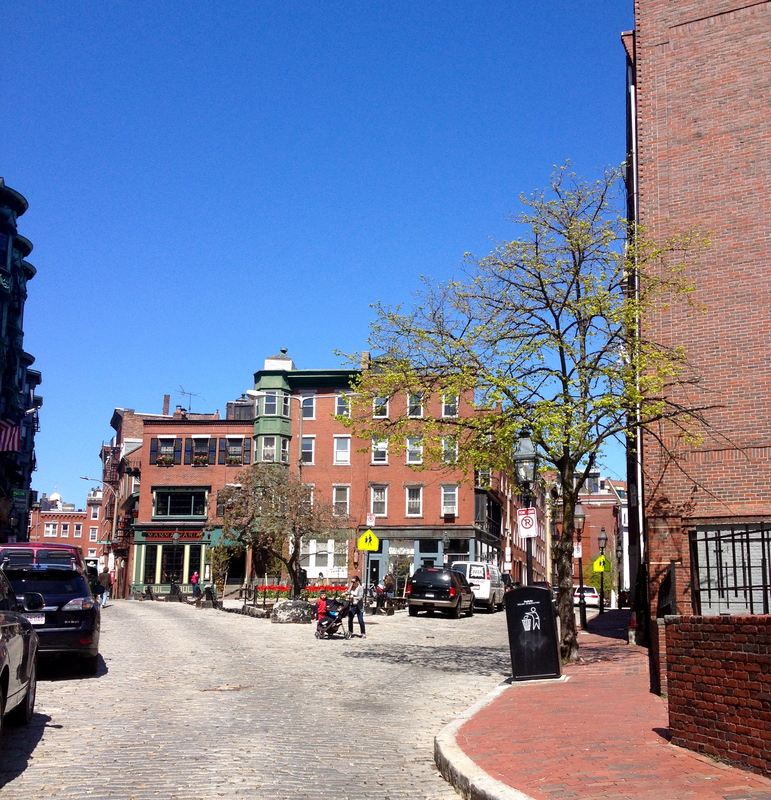 Continuing our tour of Boston, we then continued our Walk Into History tour of the Freedom Trail in the North End. Although the North End has seen many changes over the hundreds of years it has been in existence, it is still a flourishing part of Boston filled with wonderful people. We had the opportunity to see the house that Paul Revere lived in during the late 1700s. The house was originally built in 1680, and has been through a lot of changes during its existence. It was destroyed in the Great Fire of 1676 and rebuilt, endured many other building modifications, and was even used as different shops such as a candy store and a bank. Today it serves as one of the earliest historic house museums in the United States. All together, Paul had 16 children. He had 8 with his first wife and 8 with his second wife. At the most, only 8 children would have been living in the house at once because at the time, the infant mortality rate was very high. 5 of Paul’s children died and some of his surviving children may have been much older than others because they spanned a thirty year age gap. The North End is also home to a glorious monument of Paul Revere portraying his midnight ride. I would also like to highlight the Boston Strong memorial shown near the statue. In response to the recent bombings at the Boston Marathon, there was support from the city of Boston evident everywhere you look, and it shows how Boston really is staying strong in light of current events. Our next stop along the Freedom Trail was the Old North Church, which is where the lantern was shown to let the people of Boston know that the regulars were coming. They would have called the British soldiers regulars because the people were British themselves so it would not have made sense to say “The British are coming.” The church is the oldest in Boston and still holds regular services today, along with offering tours for the public. The Old North Church had box pews that you can see in the image below. During the time of the Revolution, these box pews had to be paid for by the church members and they would sit in their same seats every week as long as they continued to pay. Families would typically decorate their pews to their needs and tastes. After relaxing for a bit from our long day of walking, we went to dinner at Ristorante Saraceno and had a delicious Italian meal- something that is very common in the North End that we definitely took advantage of during the rest of our time in Boston. Next we had to stop for some dessert from Mike’s Bakery, since everyone says going there is a must, plus you can’t walk anywhere in the North End without seeing someone carrying a Mike’s box. Everything was very fresh and tasty, and we even returned for more the next night! After lots of eating we hopped on the green line to Fenway Park to see a Red Sox baseball game. Fenway Park opened in 1912, making it the oldest Major League Baseball stadium in use. It was also very cool to see the manual scoreboard at the stadium. After 11 innings, the Red Sox won! It was a great way to end the night. Join me for my next post to hear about our day trip to Salem and more of Boston!